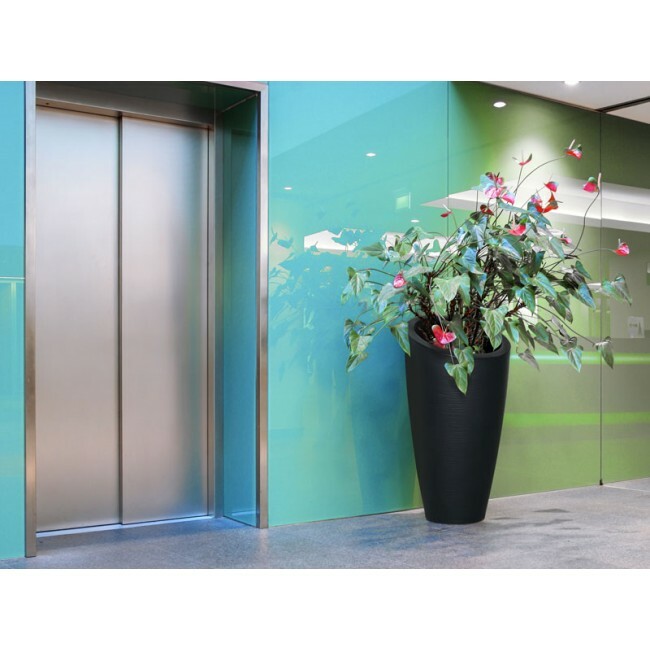 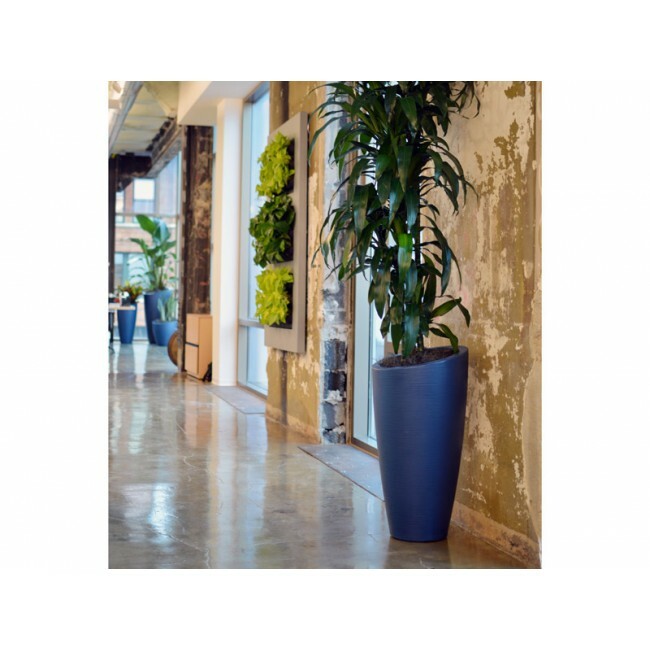 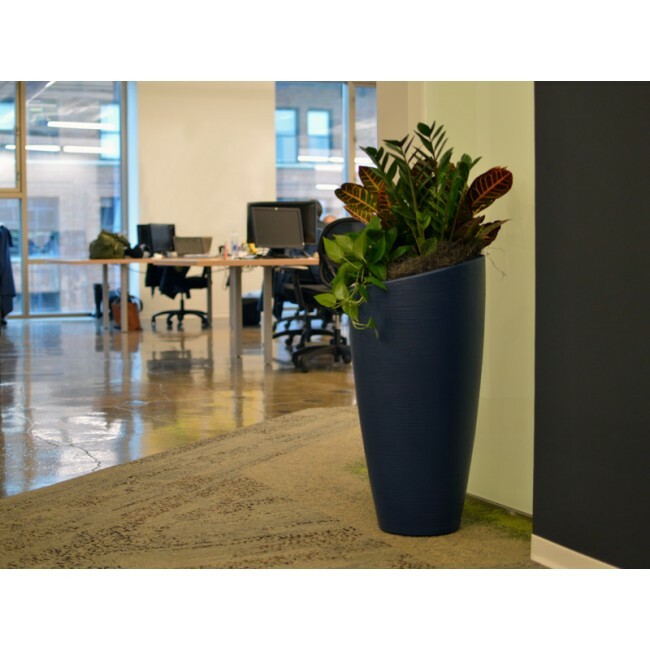 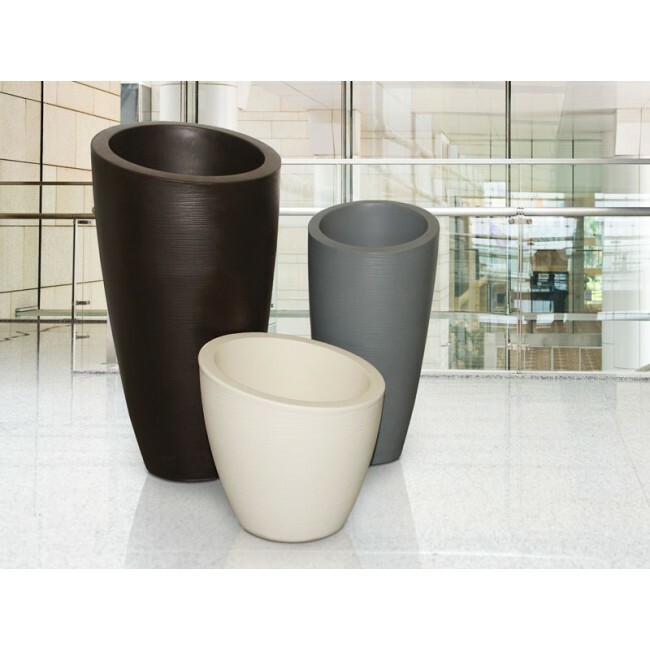 The Paca planter, part of the Independence Series, offers a unique sloped top that is sure to spice up any interiorscape design. 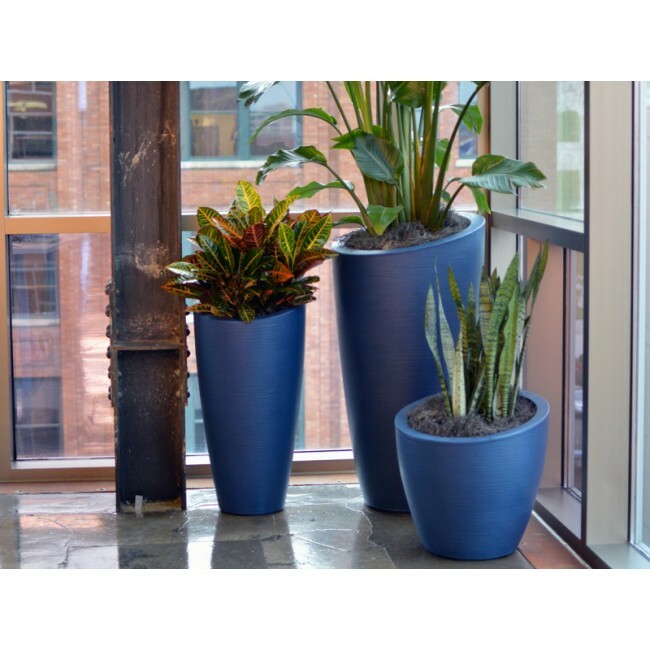 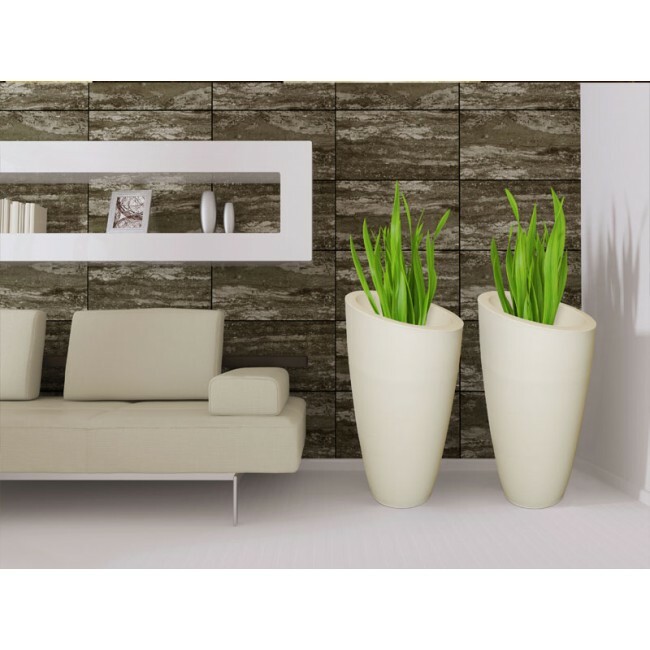 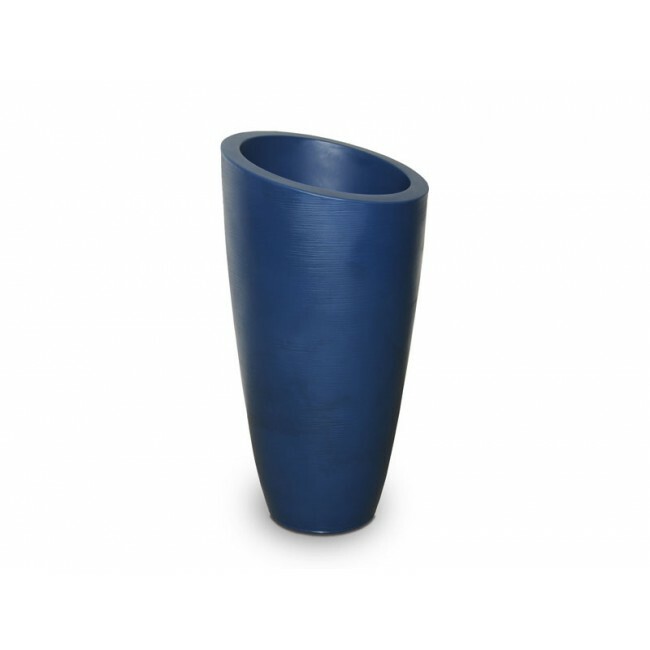 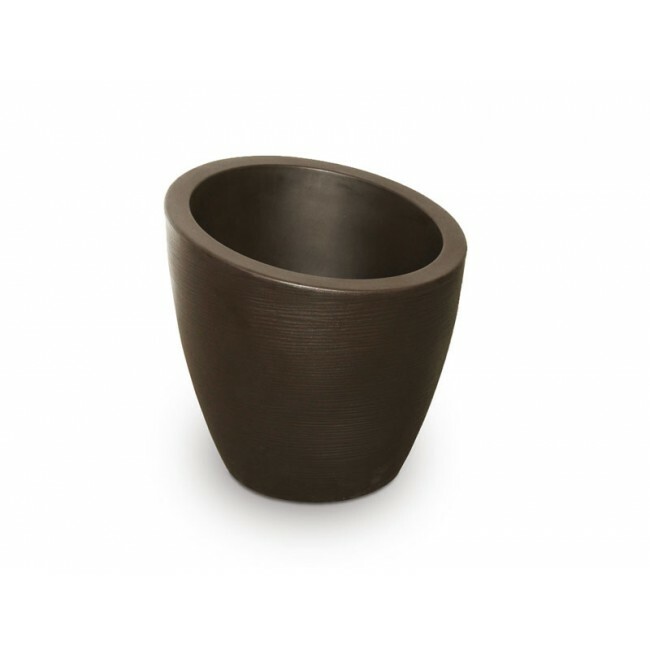 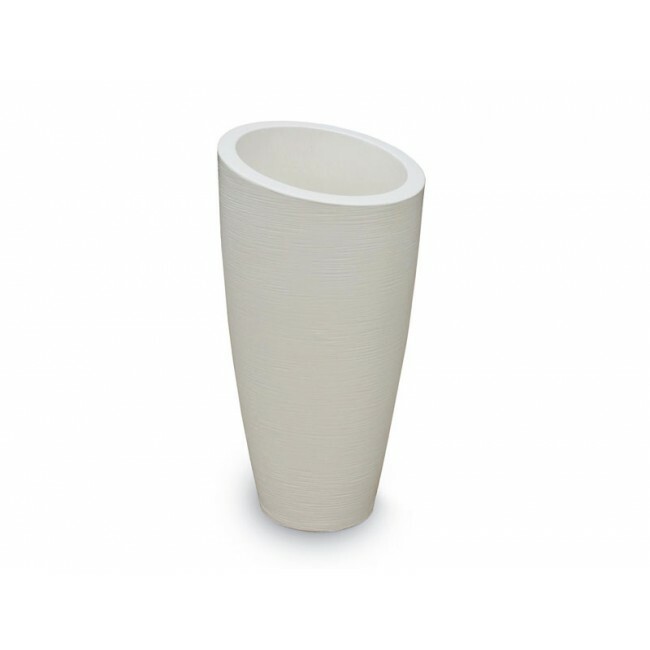 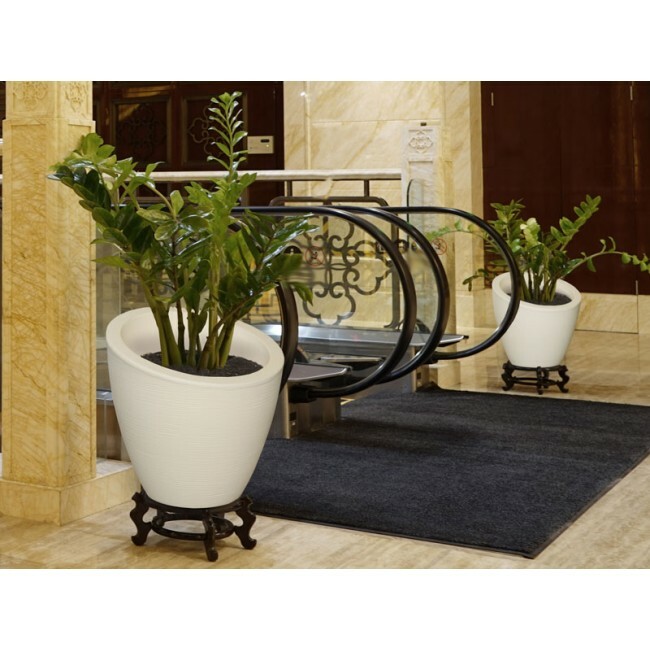 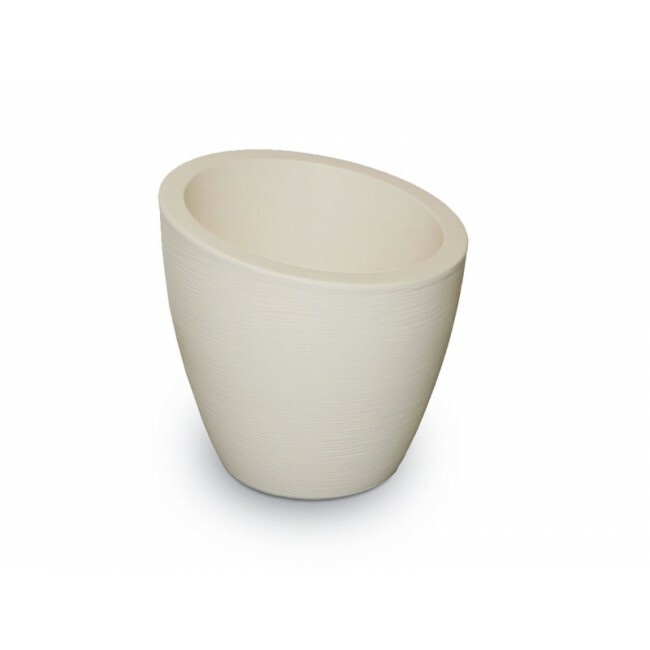 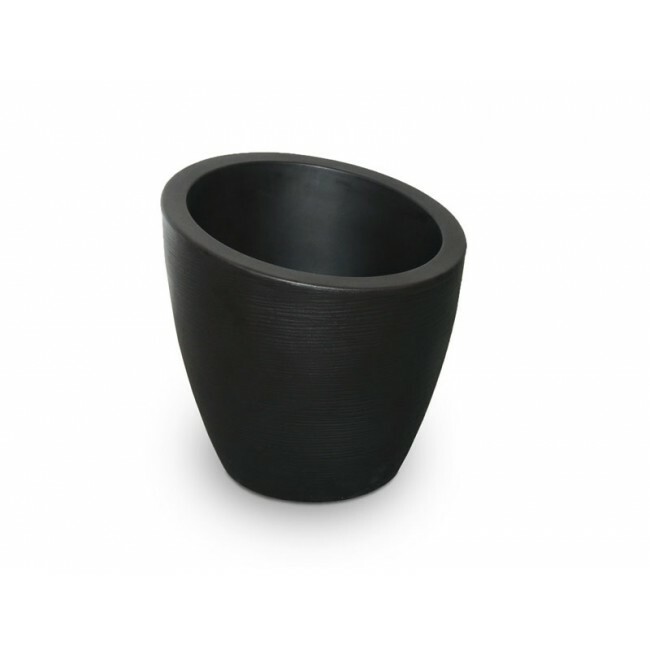 This round planter features a grooved texture and comes in a variety of color choices. Manufactured in the United States using polyresin materials, the Paca is UV protected and shock resistant.